A Swansea-based ladder and scaffolding manufacturer that supplied Sir Edmund Hillary’s Everest expedition has been bought out of administration in a move that has saved almost 200 jobs. Lyte Industries, which is headquartered at the Swansea Enterprise Park, has been acquired by Breal Capital. The company had experienced a number of difficulties in 2018 with increasing raw materials prices. The deal saves 185 jobs. 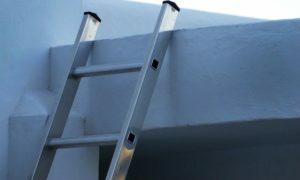 Lyte will now trade as Lyte Ladders and Towers Ltd.
Green added: “Breal Capital typically invest in UK-headquartered businesses, in the manufacturing, distribution, wholesale, support services and retail sectors as well as many others.